Painting is one of the best ways to change any space, and give it a totally new look. You don’t have to be a professional to paint as long as you keep a few things in mind. The first thing you will want to do is choose a color or colors for the room. Rather than painting the entire room the same color, often people choose coordinating colors, and paint adjacent walls a shade lighter or darker. Being prepared when you go to the hardware or paint store will save you time and money. Once you get home, you won’t have to stop and run out to get something you forgot. You will need trays, rollers, paint brushes, drop cloths, and spackle , if any repairs will be needed. 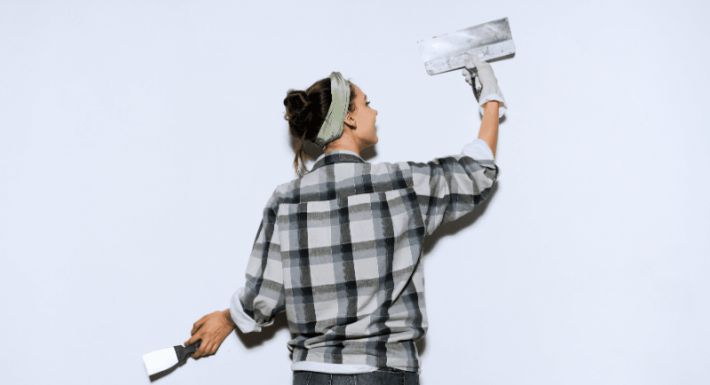 Small holes or dings can be fixed using spackle and a putty knife. You will also need Masking tapes, such as the type sold by Trimaco to prevent getting paint on ceilings, baseboards, and to help create perfect edges. Drop cloths are also helpful to keep paint from getting on floors or furniture. Clearing a room is preferred, but some items may be too large to move. In addition to covering floors and surfaces with drop cloths, you will want to remove all the outlet plates and light switches. You may decide to replace these with colors that match the paint you choose. Even this small change can make a difference in a room. Open windows and place fans in the room to help ventilate while you are painting. You can also find paint with low or no Volatile Organic Compounds (VOC). Make sure you purchase cleaning products for brushes and rollers so you can save them for touch up or another paint project. Buying good quality supplies is important to the outcome of your paint project. One example is the brush you choose. Some shed brush hairs that become stuck in the paint. Getting them out leave smudges, and you will have to go over it to get the desired effect. You will save time if you do not have to go over work you have already done. As well as making your paint project go smoother, clean up can be easier. Many people prefer to line their paint trays with a plastic bag. This keeps the paint from sticking to the tray and is far easier to clean when you are finished. 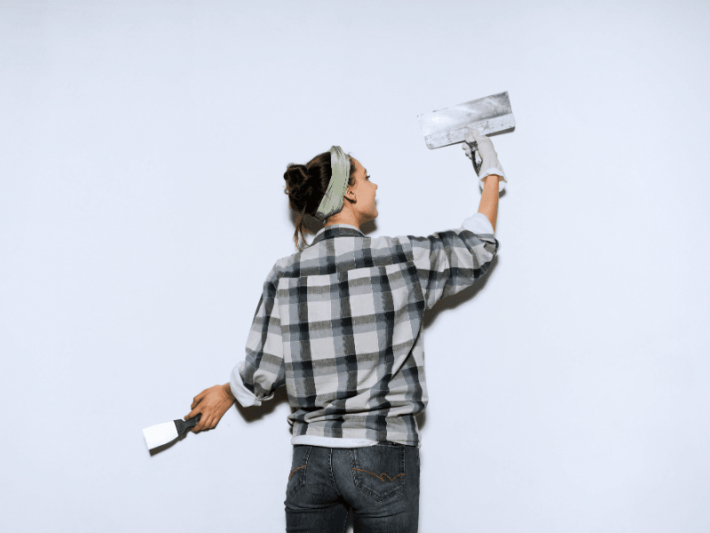 By following a few simple tips, you will end up with a professional paint job and a great looking room.